San Francisco (AFP) - Marissa Mayer was hailed as Yahoo's savior when she took charge of the pioneering internet firm five years ago. But Mayer was unable to stem the decline of the iconic Silicon Valley company, which is set to close a deal on Tuesday selling its core internet operations to telecom giant Verizon. She is likely headed for the exit as Yahoo ends two-decade run as an independent company, getting a departure package worth an estimated $186 million. Mayer inherited a company in protracted decline, having lost its leadership as an internet search company to Google and falling behind others like Facebook in serving money-making ads to users. She is the latest in a line of chief executives who tried to reinvent Yahoo, and her experience at rival Google inspired hope. "Marissa inherited a mess, in a company that had already lost its leadership role in search," said Creative Strategies president and analyst Tim Bajarin, who has known Yahoo since its early days. Mayer, 42, joined Google in 1999 as its 20th employee and led efforts for hit products, including its flagship search product and homepage. At Yahoo, where she became CEO in 2012, she went on a buying spree that included a $1 billion acquisition of blogging platform Tumblr to reach a younger audience. She also cut more than a thousand jobs. "Buying your way out of a problem like this is rarely going to solve your trouble," analyst Rob Enderle of Enderle Group said of acquisitions racked up at Yahoo. 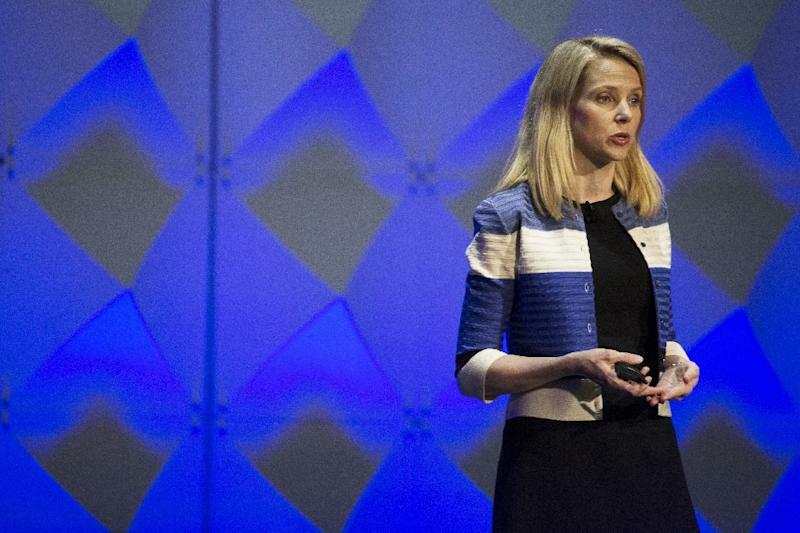 Yahoo's finances have been skewed by its stake in China's Alibaba. It bought a 40 percent stake in Alibaba in 2005 for $1 billion and its current holding is now worth many times that amount, dwarfing the value of its internet operations. It also has a multibillion-dollar stake in Yahoo Japan. These holdings will not be transferred to Verizon but remain in a separate entity named "Altaba." A survey released last month by business insights specialty website Owler ranked Mayer as the second most disliked chief executive, behind the head of United Airlines. "Career-wise, Marissa is done," Enderle said. "She's rich, so she could certainly fund herself as a venture capitalist but if she doesn't work on her skill set she is going to lose a lot of money as a VC." Enderle put fault on the Yahoo board, saying Mayer was put in a "very bad spot" and failed to provide a mentor for a job she had never done before. "Like our president, it shows that when you take someone with no idea what they are doing and put them in a job they shouldn't do, it will end badly," Enderle said. Born in a small Wisconsin city, Mayer worked at a grocery store before attending Stanford University, where she studied computer science. While her intellectual skills qualify her as a nerd, her blond good looks and star quality have put her on the cover of magazines including Fortune, Vanity Fair and Vogue, where pictures of her featured in a fashion spread. Yahoo was one of the first companies that enabled users to find their way online, but lost its role as a leader. It is selling its core internet operations to telecom giant Verizon for $4.48 billion, capping a long decline from when it had a peak market value of some $125 billion in 2000. Founded in 1994 by Stanford University students David Filo and Jerry Yang, Yahoo was created as a type of directory for the internet. It was originally called "Jerry and Dave's Guide to the World Wide Web." Its initial public offering in 1996 was the largest for a tech startup at the time. Based in Sunnyvale, California, Yahoo became the leading "portal" for the internet, with a home page that allowed users to click on categories such as sports, finance and movies, or search for information. "In a way, Yahoo introduced the concept of search," Bajarin said. "They started diversifying with all these content layers and in the process didn't put enough engineering resources in the search engine." Google launched in 1998 and usurped Yahoo's search throne. While Yahoo will continue to exist under Verizon, it remained to be seen what the telecommunications firm will do with it. "You're losing an iconic figure of Silicon Valley," Bajarin said. More than 1,000 jobs could be shed as redundant positions get eliminated at combined AOL and Yahoo operations, according to US media reports. Verizon is expected to merge those two operations into a new unit called Oath.